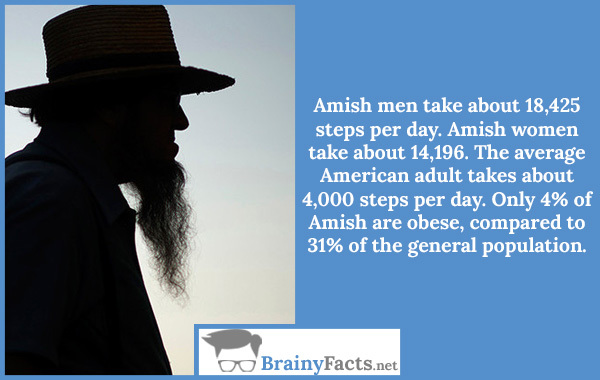 Amish men take about 18,425 steps per day. Amish women take about 14,196. The average American adult takes about 4,000 steps per day. Only 4% of Amish are obese, compared to 31% of the general population.